As part of our NASA’s Datanaut initiative, our next class of 50 volunteers will use NASA data and tools to help NASA evolve processes from the serendipity of skills, personalities, interests, and engagement of the participants. Individual Datanauts represent varied backgrounds, experiences, and technical expertise with one common thread: each is eager to learn and enhance coding skills, and experiment with NASA’s data, tools, techniques, and subject matter experts. 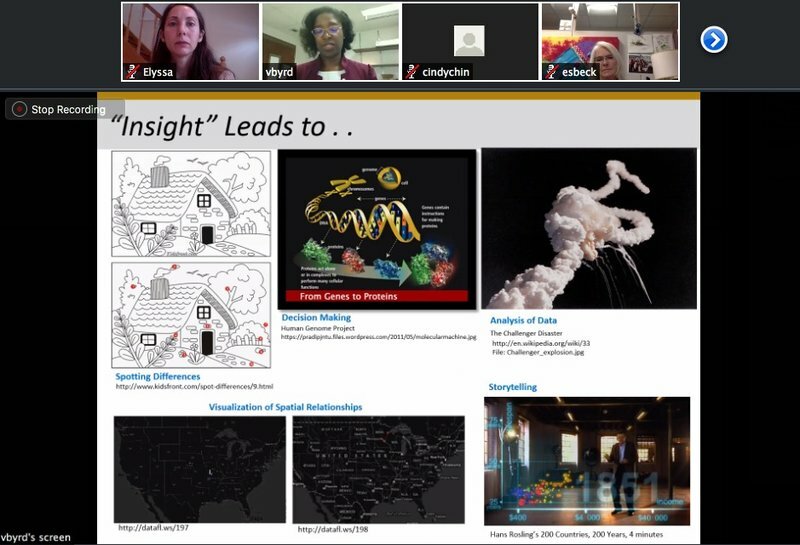 The Datanaut experience encourages individual and group discovery through data challenges, virtual data chats with NASA and external experts, and community events hosted by class members. Class members step into leadership roles to champion collaborative project design and development among their peers, and lead community events within their influence networks. Previous Datanauts class members and outside experts serve as volunteer mentors and subject matter experts for incoming classes, modeling collaborative learning. Through the Datanauts initiative, we are growing an ecosystem of data problem-solvers. Pictured above: Datanaut Cindy Chin (not pictured) hosts a Starry Night Community Event in Lisbon, Portugal. 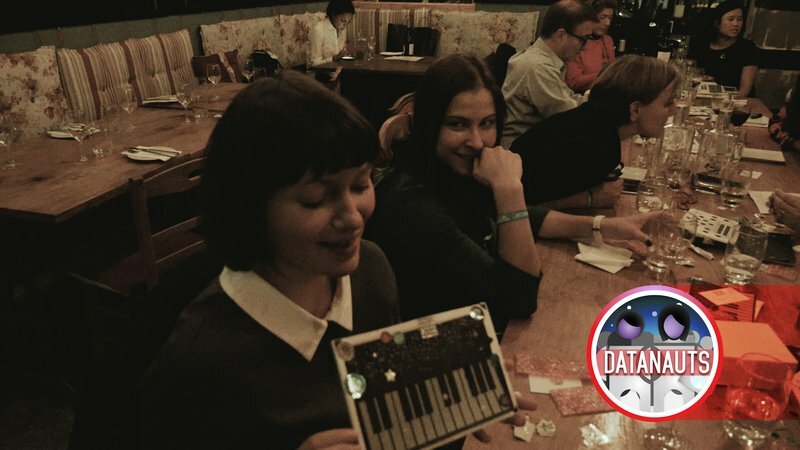 Starry Night community guest Dr. Barbara Lippe assembles the musical hardware project and plays NASA data music! Starry Night project developed by Datanaut Dr. Kate Stone in 2015. A great collaborative community is made through assembling a mix of skill levels, experience and expertise. Combining subject matter experts, designers, story tellers, entrepreneurs or other specialists contributes to diversity of thought. Collaboration and sharing of ideas and capabilities fuels innovative processes and solution design. And now….it is our great pleasure to announce… NASA Datanauts 2017 Spring Class! Alexandre Alves is a systems analyst who loves data challenges, volunteer activism, and transforming ideas into products. Niki Athanasiadou has a PhD in Molecular Biology and background in genomic data analysis. 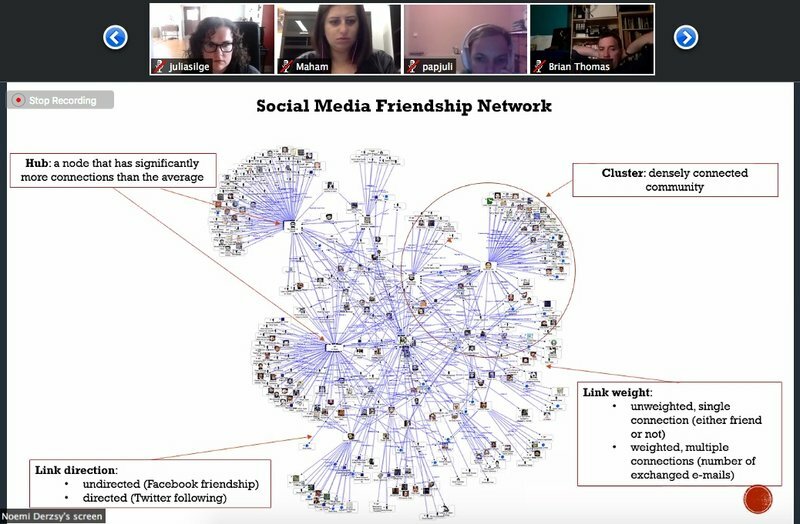 She works at the intersection of social media data and healthcare and collaborates with nonprofits to make science approachable to lay audiences. Joshua Butner designs and builds web products since 2005. He founded a distributed, cooperative consultancy and works as a designer and front-end developer. Joshua wants to use his powers for good and explore the Dataverse. Michelle Cassel is a finance and operations professional specializing in aerospace manufacturing. She extracts and analyzes data to isolate anomalies and manage trends. Elise Dang studies computer science and loves learning about the latest technological advancements and space exploration. Laura DeCicco has a PhD in Mechanical Engineering and spent a decade developing sensors. She moved into the field of environmental data science and is the author of several R packages. She currently serves as a data scientist for the USGS Water Mission. Hamze Dokoohaki is a PhD student in Agronomy with a focus on statistics. He’s interested in modeling environmental processes. Jasmine Dumas has a background in biomedical engineering, aerospace manufacturing, and product design and development, and currently works as a data scientist working in financial technology. An active member of the R programming community, she enjoys developing open source tools to enable reproducible research and analysis. Laura Anne Edwards is a polymath who works and plays at the intersection of technology, media, and impact. She's passionate about opportunities for access to open data, and STEAM projects for women and girls. Wendy Edwards is a programmer interested in security and user experience. She’s involved with the OpenNSM open source project. She believes diversity is important, and participates with Systers and ChiTechDiversity. Melissa Fabros is an English major and teacher turned machine learning practitioner. Brooke Fitzgerald is interested in applying quantitative techniques in supervised and unsupervised learning, deep learning, data visualization, and other modelling frameworks to analyze and gain insight into problems across disciplines. Auriel Fournier a quantitative ecologist and PhD candidate studying migration and wetlands, is passionate about diversity and equity in STEM, and is an RStats enthusiast. Logan Gallaway is a mechanical engineer currently working as a project manager in the auto industry. His languages include: R, python, Java and SQLH. A passion for data science and the space program led him to attend the Maven launch NASA social event, and pursue a career in data science. Evangeline Garreau is a Ruby developer who loves cooking, reading, swing dancing, and cats. Sara Gee is a software engineer supporting education technology issues. NASA’s NEAR mission captivated her attention as a child and sparked a fascination with space travel. Sara is currently teaching herself two new languages: Python and Spanish. Renee Gennarelli is a trained biostatistician who works as a senior data analyst. She believes in the power of math and science to change the world for the better. Bruno Gonçalves is a professor and researcher in data science. He has expertise in using large scale datasets for the analysis of human behavior. Erin Grand is passionate about bringing together data and education. She works in data analytics and previously worked as a data scientist, software programmer, researcher, and teacher. She holds two Master’s degrees in Data Science and Astronomy. Tashay Green is a data scientist and graduate student. She uses data to solve real-world problems in the urban context, such as how to make cities more sustainable and equitable for citizens, and use data for social good? Nujcharee Haswell is a data nerd interested in engaging with data for social good. She volunteers for a local food bank as a data analyst and is employed as a local government business intelligence. Coral Sheldon-Hess is an engineer and librarian with expertise in web development. She is learning Python and is passionate about using data science to do good for the world. Wiebke Hurrelmann is a digital map maker who loves tinkering with hardware and software. Angie Jones is a certified Java programmer with a knack for innovation. She secured more than 20 patented inventions and shares her passion for technology through speaking engagements internationally. Mado Kelleyan enjoys finding ways to combine patterns with electronics. She combines art, tech music and design to create interactive installations. For instance, she created a music festival garden with interactive trees and mandalas playing NASA space sounds. Malina Keutel believes in the power of data-driven storytelling to unite stakeholders in support of women’s empowerment, and makes that happen with Girls Who Code. Aleisha Jethwa holds a degree in textile design. She combines art and technology to create interactive experiences. Alice Lai a student, hopes to become a robotics engineer. She loves electronics and coding and has a passion for Internet of Things technology. Thomas LaRock served the IT industry in multiple roles, including programmer, developer, analyst, and database administrator and technical evangelist. He holds an MS in Mathematics and studied astronomy. He's focusing on math skills to weave data science tasks into his work. Jay Mahabal is a data journalist at a machine-learning startup. He's most interested in communicating data science results through visualizations. Jhun Rhenz Martinez has a passion for engineering and spreading STEM and is active with robotics competitions. He teaches introductory and front-end programming courses to youth in his local community. Lucy McGowan is a biostatistics PhD student drawn to adventure and life-long learning. She's committed to reproducible research and uplifting women in STEM. She co-founded R-Ladies Nashville. Amelia McNamara holds a PhD in Statistics and teaches university-level statistics and data science. She loves R, data visualization, and citizen science. Kaelen Medeiros holds a Master’s degree in Biostats and is a statistician in health risk analysis. Her goal is to improve her machine learning and data visualization skills, and find effective ways to engage with and clean data. Maria Menicou has a degree in graphic design. She pioneered transforming printed circuit design into an art form, enabling people to touch and interact with technology. Dr. Jean Njoroge is an engineer by training, with a PhD in Computational Material Science and Engineering. She is passionate about using scientific principles and big data to tackle problems and apply current computational techniques to explore solutions. She co-founded African Women in Computing. Lauren Oldja is a data scientist. She holds a Master's degree in Public Health, and led the team that eradicated Guinea Worm Disease in Karukomuge, South Sudan. She managed the largest household study to date on children's geophagy and environmental enteropathy. Sian Proctor is a community college instructor who teaches geology, planetary science, and sustainability classes. She hopes to incorporate big data in unique and creative ways. Camille Ramseur studies entertainment technology at the Master’s level. She has a passion for computer graphics, Virtual Reality, and research. She hopes to combine her programming with art to create animations. Robert Rovetto has a lifelong love of space, and a passion for space ontology. He studied philosophy and ontology with space studies courses and hopes to learn to operate satellites and spacecrafts. Maria Shamota is a storyteller with an interest in new instruments for education, such as gaming and Virtual Reality. She wants to bring space to larger audiences through educational games. Eva Szadeczky-Kardoss holds a Master’s degree in Computer Science. She writes scripts and apps to simplify everyday tasks, and has a passion for game development and astronomy. Christine Quintana, a computer science Master's student with a degree in Astrophysics, and is interested in applying machine learning and data science techniques to astronomical data. Daniela Vazquez is data scientist-to-be. Coming from the economic field, she studies Machine Learning and R, and looks forward to practicing her skills. Brannon Veal is an entrepreneur, engineer, and renewable energy professional with a passion for data analysis initiatives regarding climate change. His projects include health innovation and sensing applications for environmental monitoring. Brittany Walker is a machinist by trade and went to school to learn traditional metalsmithing. She spends her free time engaging in the local maker community, as both a teacher and learner. Imano Williams, a PhD student in computer science, researches software security that uses machine learning and data mining. His experience includes software testing, R and Python programming for data science. Amy Xiao is working to improve her data science skills to help find answers to difficult questions, and empower individuals through tech literacy. She explored math and software development to contribute to space exploration. Elaine Zhan is a neuroscientist-turned-data scientist interested in using critical thinking and data analysis skills to solve complex problems. She excels at creatively and critically assessing data, and using machine learning algorithms in Python to build accurate and insightful models. NASA Datanauts 2017 Application is Open!